The holiday season is upon us! While we realize that many of you celebrate plenty of the same holidays at home, you may or may not be used to the amount of excitement that permeates American life between approximately mid-September to mid-January. 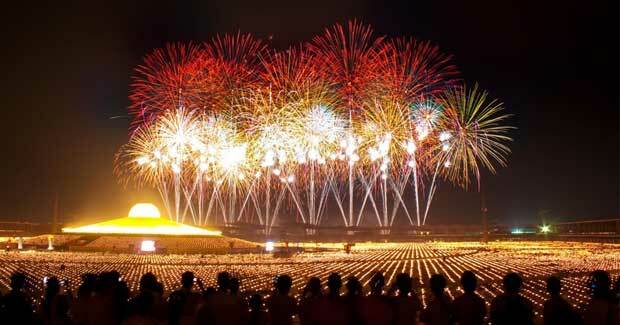 This is a time of movies, songs, altruistic activities, gift-giving, food, drink, and shopping! We know that you may be aware of the historic implications of these holidays, so we're focusing on the aspects that are specifically cultural. This holiday gives children the opportunity to dress up in their scariest (or prettiest, or wackiest) outfits, while running around the neighborhood, yelling "trick or treat!" and filling pillowcases with fun-sized Snickers, Skittles, and other sweet treats. 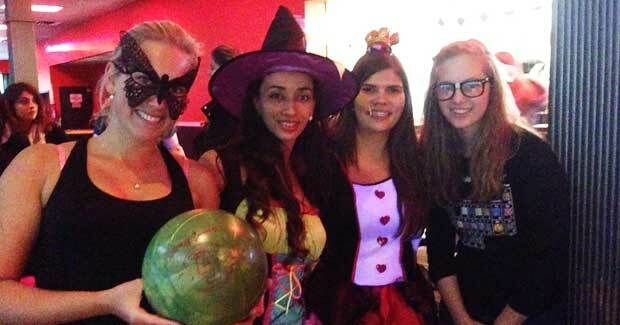 Long Island au pairs celebrate Halloween for the first time! Image courtesy of InterExchange. Take note that many people of all ages celebrate Halloween – don't be surprised if almost everyone on your block is handing out candy, if your children bring costumes for a school event, or if your host parents or even you get invited to a Halloween party! Thanksgiving, or "Turkey Day," as you may hear it referred to, commemorates a feast shared by both indigenous Americans and early Pilgrims to the New World. This day brings American families together to cook a massive feast, eat it together, view a football game, and to remember to give thanks for the food, family, and other good fortune they have. Many workers are given a day off on both Thursday and Friday. During this holiday, many Americans make the journey back to their hometowns or to the cities where other loved ones live in an effort to share with their family. According to the US Department of Transportation Bureau of Transportation Statistics, Thanksgiving is the most heavily traveled time of year! This recently emerging "holiday" is neither religious nor steeped in history, but it receives a large degree of media attention nonetheless. Per tradition, stores wait until after Thanksgiving to begin officially advertising their Christmas promotions. 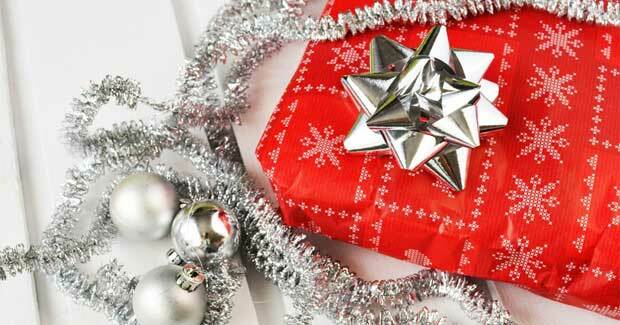 As soon as Thanksgiving is over, stores offer deep discounts and other special sales to entice customers who are looking for deals on holiday gifts. Black Friday shoppers often have to battle early mornings, long lines, and crowded stores to get the deals that they're searching for. About 10 years ago, stores opened around 6:00 AM, but in recent years they've started opening at 3:00 or 4:00 AM. In recent years, many stores started their sales at 8:00 PM on Thanksgiving Day! This eight-day festival of lights commemorates the rededication of the holy Temple in Jerusalem after the reclamation from Greek conquerors. Jewish families around the States celebrate Hanukkah by lighting the hanukkiah (usually referred to as a menorah). Each night at sundown, another candle is lit until at the end of the celebration all of the eight candles are glowing (the candle in the middle is used to light the others, so there are nine in total). Families also exchange gifts in the evening and share traditional foods such as potato pancakes, called latkes, and jelly-filled doughnuts. 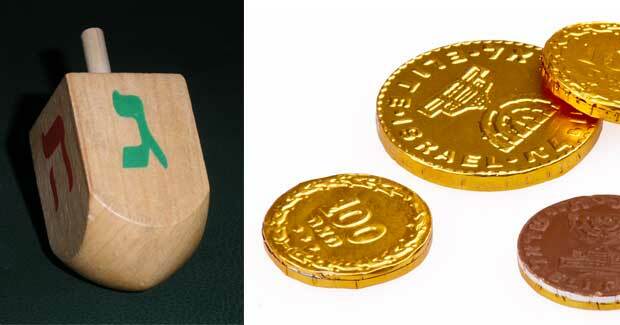 People of all ages, but especially children, love playing dreidel and giving out gelt! While a traditionally Christian holiday celebrating the birth of Jesus Christ, the celebration of Christmas has integrated itself into secular United States culture. Don't be surprised to see garland, bows, fake snow, bells, Santa, and signs wishing everyone a "Merry Christmas!" or "Happy Holidays!" around your city. There are many Americans who do not celebrate Christmas. If you're not sure if someone celebrates Christmas or not, it's good form to tell people "Happy Holidays!" rather than "Merry Christmas!" Christmas is a time for gift-giving and sharing a meal with family. Much like Thanksgiving, this is a big time for travel. Many people do their best to make it "home for Christmas" – even if it is the only time of the year that they see their family. Children will eagerly await the arrival of Santa Claus, who – the story goes – comes down the chimney on Christmas Eve in order to stuff children's stockings and leave gifts under the Christmas tree! Many Americans make New Year's resolutions: lose weight, eat healthier, perform better in work/school, etc, etc. With these lofty goals in sight, New Year's Eve is people's last chance to live it up! Even though New Year's Eve is one of the coldest nights here, many people take advantage of this holiday to "ring in the new year" and celebrate with friends and family. Traditional ways to celebrate include fireworks, banging pots and pans, watching the televised Times Square celebration, counting down to the new year, and clinking a glass of champagne as the new year arrives!